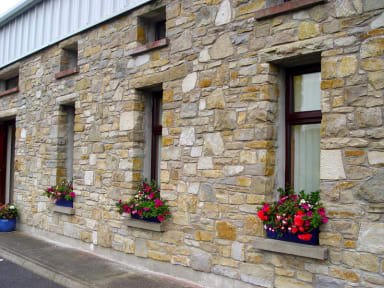 The Bluestack Centre Hostel is one of the 25 An Oige, Irish Youth Hostel Association (YHA) hostels throughout Ireland. The Hostel is situated approx 8Km (5 miles) from Donegal Town and is ideally located for exploring this unspoiled countryside. The Bluestack Centre Hostel incorporates a luxury 28 bed hostel, complete with Private Room, Dormitory accommodation and an en-suite special needs room, ideal for wheelchair users. Guests can relax and unwind in the TV lounge and fully equipped self-catering kitchen provided for their comfort. Internet access is also available.PLEASE NOTE: As we are in a rural area our internet is not as strong as in the town. Among the facilities we have on offer are a new Children's Playground, Asto Turf, Tennis & basketball courts. Laundry service and towel hire service available. Some concessions are available for large groups and catering can be arranged for visiting groups with pre booking. Also available at the Centre there’s indoor bowls, bingo and dance classes. The Bluestack Centre is a 2 minute walk from O’Neills Pub where guests can enjoy the Ceol, Craic & Cainte – Gaelige for Music, Fun & Singing! Saturday & Sunday - please ring the mobile number provided on your confirmation email in advance to let us know your arrival time. Strictly no hostel check-in's after 9.00pm. Please let us know your ETA in advance of your arrival to ensure there is someone here to welcome you. PLEASE NOTE: NO check in after 9pm, If you arrive after this time you may not be able to check in and you will have to find alternative accommodation at your own expense. 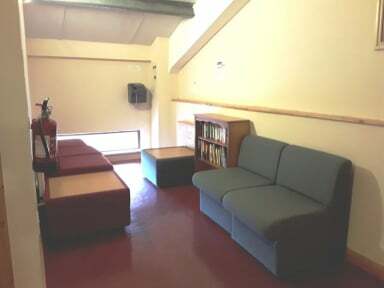 Clean and tidy hostel with good facilities. I took a weekend away to explore the South West of Donegal, and the location was perfect for driving around a beautiful part of the country. Lovely friendly amoshphere and very relaxed .. Only gripe I had was the showers needs to be cleaned a bit more in the men's. My fella wouldn't go as there was hairs in the cubicle. Facilities outside were first class the only thing that let us down was the weather! Facilities were very good inside and nice and quite..felt at home. Lovely place. My friend and I had the entire hostel to ourselves which was nice. We were a group of 8 travelling during the st patricks weekend and it was just perfect as we had the whole hostel only for us. All very clean and we really enjoyed our room and the big kitchen. The only down side is that is a bit away from city, but not a problem if you are travelling by car. The staff were just fantastic! A very peaceful, and relaxing location. If you are like us, traveling by bus, make sure to get all your supplies in town before you make your way up to the hostel. The staff is very welcoming, and are there to help you when you need. The local pub located at the end of the street is by far the best pub in Ireland. Friendly locals, great bartender, you couldn't ask for more of a genuine experience. It is a small hostel . The hostel is very clean and spacious, very nice. And it is warm. Downstairs is a local community center and a bar 5 mins down the road. The people who run it are very friendly, helpful and relaxed. The area surrounding it is STUNNINGLY beautiful. Some of the walks to the top of the mountains are not for beginners but there are plenty of differently graded ones. It is however very remote so if you dont have a car plan food accordingly. All fine, basic but that would be expected from a hostel. I don't recommend the big dorm. The carpet stinks and there is only a very tiny window. The living room is a children tv room. Otherwise the area is pleasant. Stayed here on St. Patrick's weekend in the private room. It's a bit out of the way so you will need a car to get here. Woman who runs the place was nice. Kitchen was handy for cooking food. Downstairs private room could do with WiFi and a few hooks to hang towels, coats etc. Otherwise I was reasonable happy with my stay. Even when booked personal room, I got allocated space in computer room. That room is store room with no ventilation at all. I would never recommend this hostel to anyone.